In 2013/14, the UK was subjected to the most energetic winter on record. The impact on our coastlines was unprecedented, with the damage still felt five years on. Our climate is changing, and the resulting rise in sea level and potential increase in storminess will have significant coastal impacts. Rising sea levels will, over time, allow storm waves to attack higher land and reach further inland. The southwest coast of England is already vulnerable to extreme storms, with recovery still incomplete. So what are the impacts, and what can be done to protect our coastlines? Join Professor Gerd Masselink as he shares his insight with a look at the coastlines on our doorstep, the damage they've endured and the steps to recovery, followed by an open Q&A session. A Professor in Coastal Geomorphology in the University's School of Biological and Marine Sciences, and Director of the Coastal Processes Research Group, Gerd is one of the world’s leading experts on the lasting impacts of extreme storms and the development of methods to predict them in the future. He has co-authored more than 150 research papers about the causes and effects of coastal erosion both in the UK and internationally. 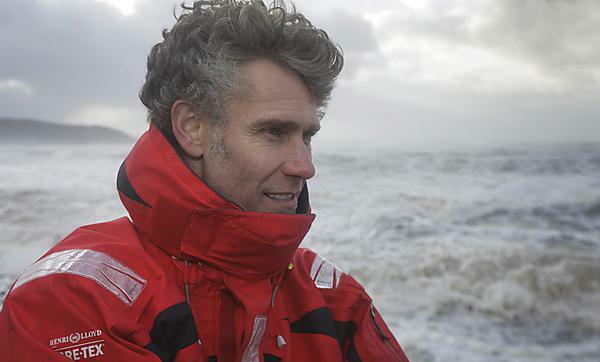 Along with fellow academics in Plymouth and further afield, he has shown that extreme storms have consistently increased in frequency and ferocity over the past 70 years, and through field measurements and computer modelling he is at the forefront of efforts to help coastal communities manage the subsequent impacts in the decades to come. All are welcome to the University of Plymouth's Research Lecture series, to hear the fascinating - and often surprising - talks from leading experts and their perspectives of our world through a research lens. Our coastline acts as a natural barrier to the sea, but what we’ve seen right across South West England is unprecedented damage and change – from huge amounts of sand being stripped from beaches to rapid erosion of cliffs.